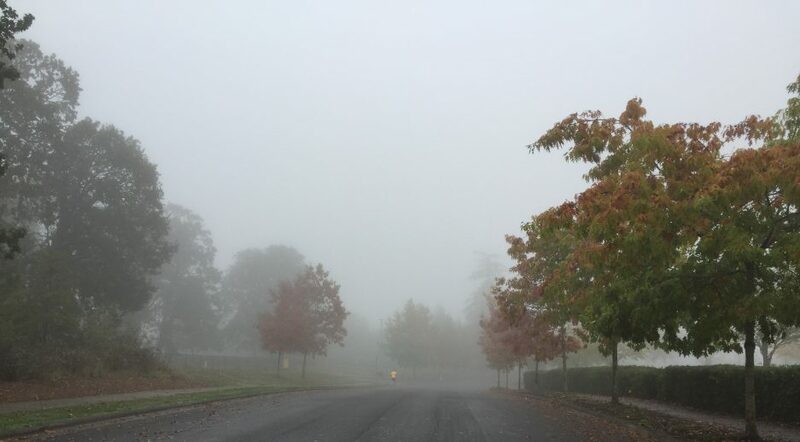 Alright my fellow autumn-loving friends, here it is. I have been asked on countless occasions to provide this recipe. But I must say that I have also been asked numerous times, as people take a few bites, what these things really are. I am not sure if the bewilderment is due to the shape or the texture of the dessert. Maybe both. But here’s the good news: These scrumptious things can be whatever you’d like to call them. 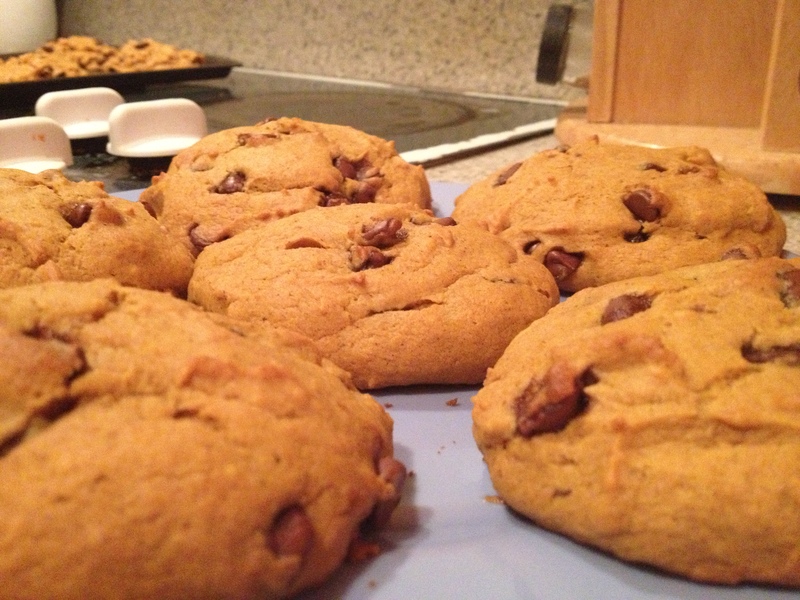 They are not flat or even necessarily round like many cookies. Perhaps this contributes to the confusion. Nor are they hard in any way so if you do not like softness, these are not your match. Maybe that’s why I like these so much. They are partially undefined. A little mystery or rebellion mixed in with the flour. Or maybe it’s the pumpkin. In any event, I hope you enjoy these as much as we do. They are hearty and they warm the house with the delicious smell of autumn. In a large bowl, add the pumpkin, sugar, oil, and egg and stir. Dissolve the baking soda (not the powder!) in the milk in a small bowl and then stir that into the pumpkin mixture. In a separate bowl, stir the flour, baking powder, cinnamon, and salt together. Combine the dry ingredients with the pumpkin mixture and stir well. Add the vanilla and stir and then fold in the chocolate chips. 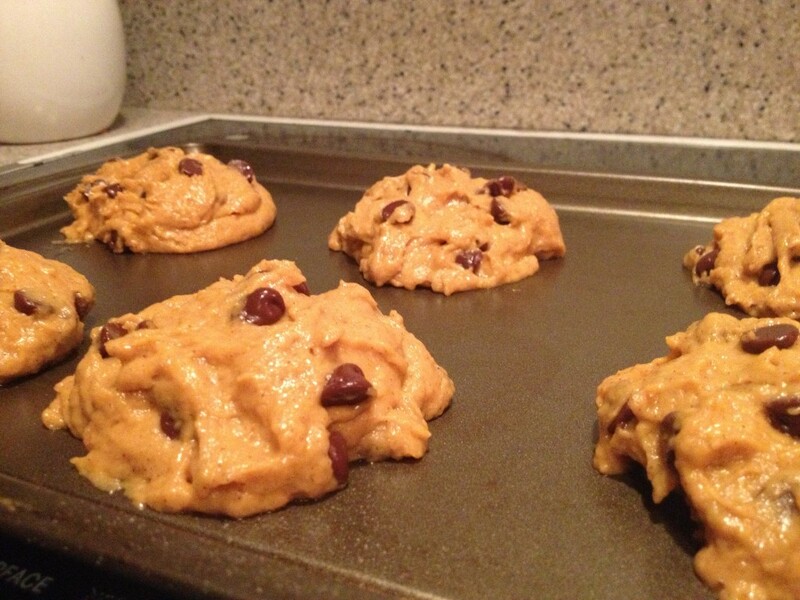 Spoon onto a cookie sheet. And here’s the fun part. I make them big. A big glob. And I don’t worry about the shape though you can make them round by shaping the dough a bit. Just make sure each one is about the same size so they cook evenly. Bake at 375 for about 10-12 minutes. The time is variable depending on how big you make them. With the size I have shown, it’s usually 12-4 min. You’ll know they are done when you cannot see any wet spots and they feel firm to the touch. Let cool for a few minutes and then enjoy with milk! 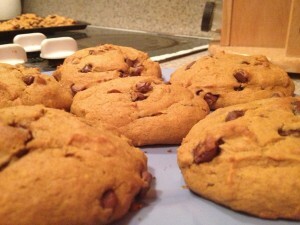 The recipe makes about 8-10 large cookies and the recipe can be doubled.